A lot of smartphone makers released budget phones at the MWC this year. The HTC One X10 was rumored to show up at this event as well but it didn’t show up. While the announcement or HTC One X10 release date Kuwait is a mystery at this point, we do know what to expect inside the phone. Before we get to the specs, let’s take a look at the HTC One X10 Kuwait price first. It’s expected to be around 100 KWD when it’s here. Now let’s see if it will be a good idea to wait for the release date or not. 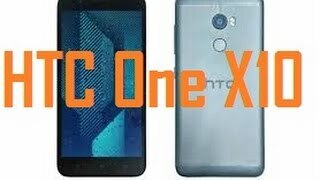 Compared to the HTC One X9, not a lot has changed in the One X10. However, that’s not the case with the design. The HTC One X10 is quite a different looking phone featuring unibody aluminum design. There is a fingerprint scanner on the back now which was not present in the One X9. The 5.5-inch screen will be protected by Corning Gorilla Glass but we don’t know much about the version yet. It will be showing 1920 x 1080 pixels resolution and 401ppi of pixel density. After the HTC One X10 release date Kuwait, it will be available in multiple colors. Another notable change in the HTC One X10 is in its rear and front camera. The rear camera is a 16-megapixel one now with Optical Image Stabilization, dual-LED flash, 28mm, f/2.0 and is capable of capturing 2160p videos at 30fps. While the front camera still doesn’t include any LED flash, it got promoted to an 8-megapixel camera now which is great for selfie lovers. Users will get 32GB built-in storage for storing their captured contents but it can be easily expanded to up to 256GB as there is a microSD card slot. There is the OnePlus 3T and Xiaomi Redmi Note 4 if you are interested to check out some more phones with a good camera in this pricing range. These phones are almost in the same pricing range as the HTC One X10 Kuwait price. There is a change in the processor as well but it’s still an octa-core processor. This time it’s the Mediatek Helio P10 octa-core processor paired with 3GB of RAM just like its predecessor. Users get fingerprint sensor this time and Dolby audio enhancement. We don’t know much about the battery yet but it will include fast charging. Other notable features include Bluetooth v4.2, microUSB v2.0, NFC, FM radio and Wi-Fi. 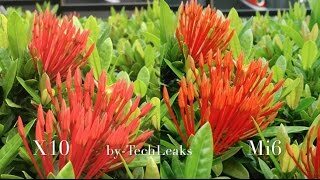 There is the Asus Zenfone Max 2016 and Lenovo Vibe p1m if it’s just a phone with a bigger battery you are after. For those who are satisfied with the HTC One X10 Kuwait price, it might take a while for the HTC One X10 to show up. It’s still a mystery at this point but it’s expected to be available in the market in April, 2017. 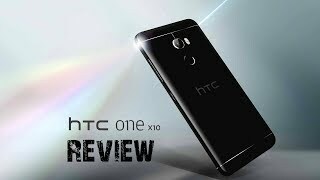 The one x10 Mobile Phone is manufactured by HTC and was added around March 2017 and is part of the HTC One X10 series.